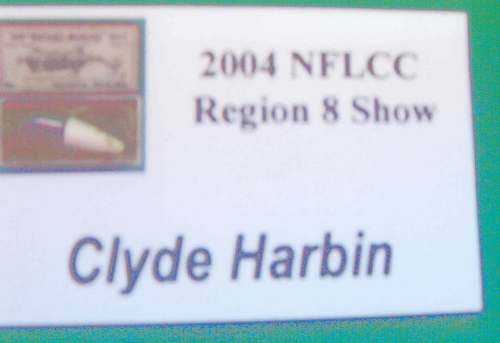 Little did Mr. Clyde A. Harbin Sr. realize that the title for this event would turn out as stated. 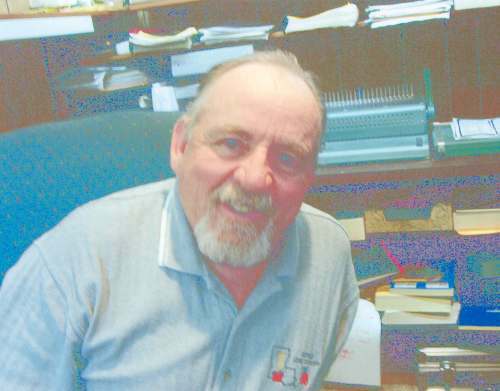 Mr. Harbin had a right hip replacement in 1999 and Joe Courcelle will have his left knee replaced when he cannot go any longer. So, only Joe's right and Clyde's left were made as "Okie Two Steps". 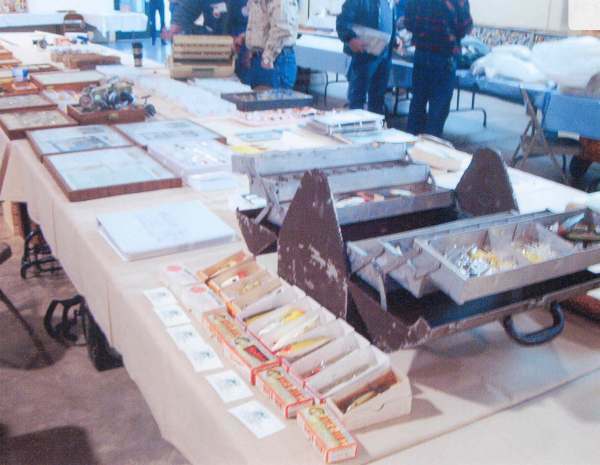 From the "get go" on Thursday morning at 6am on February 10, 2004 Joe Courcelle did all the driving, loading & unloading of all their lures, boxes, ditty bags, etc. 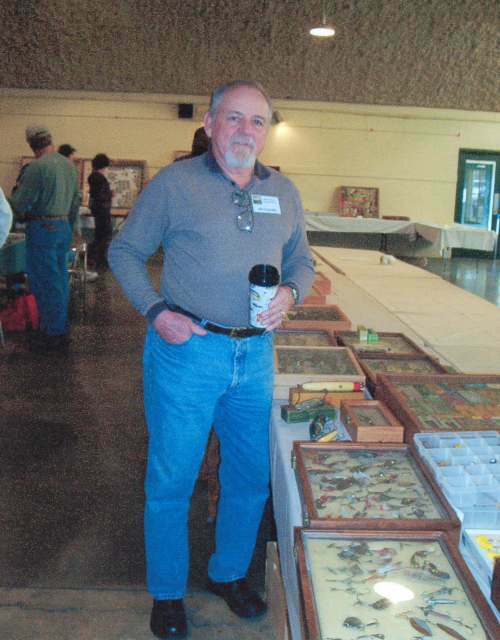 all the way to the motel room in Bartlesville and to the exhibit hall at the swap meet. 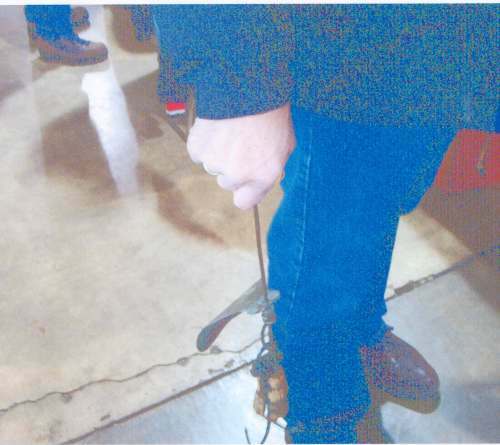 Mr. Harbin walked along very slowly, thanking Joe for his kindness. A Good Friend, Indeed. NFLCC Founder Membership meeting at the School of the Ozarks in Springfield, Mo. held on April 23, 24 & 25 1976. Twenty-five members attended this meet. 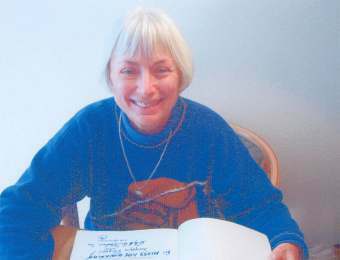 Mr. Harbin took this photograph and made two sets of slides, one for Dudley Murphy and the other for himself. 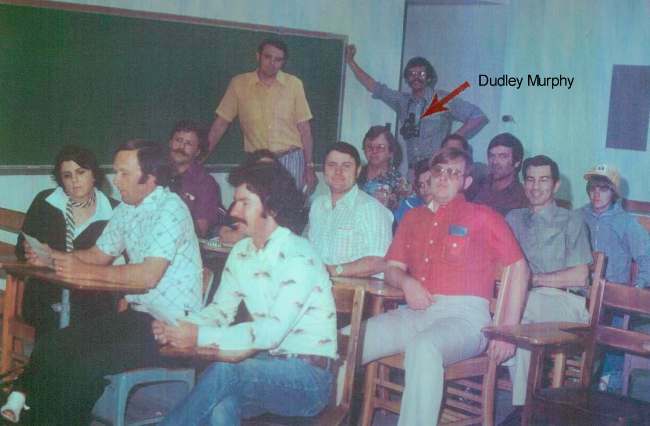 Now 28 years later Clyde noticed the body positions of John Goodwin and Dudley Murphy with his camera "musta" been upsetting their plans because a rank outsider taking over without being invited. 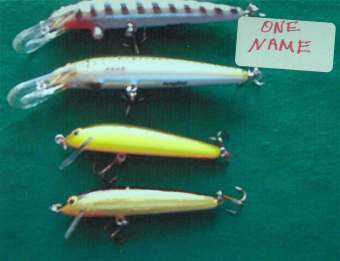 For other type lure meeting Mr. Harbin took pictures at different conventions and exhibit halls. In so doing would provide a bit of "gotta watch my step". It's water over the big boo-boo, for now we have our successful modus oprandi...touche! 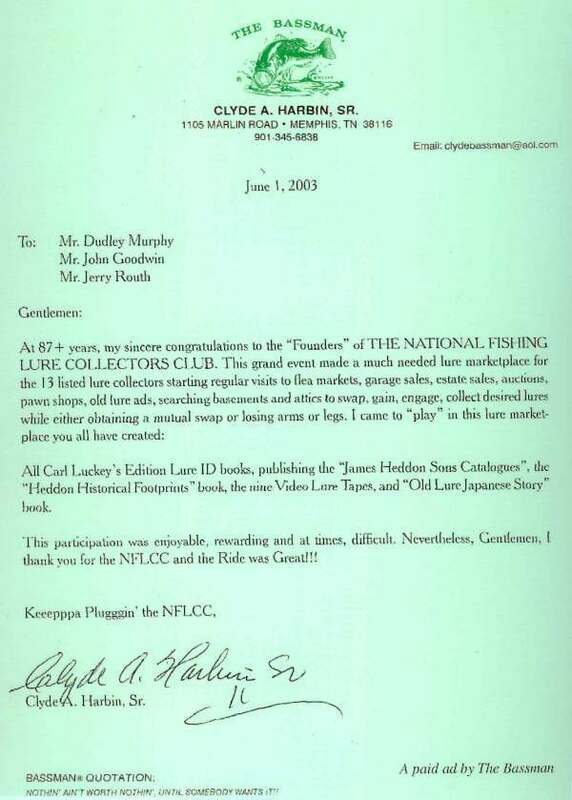 Thus the recent NFLCC Gazette full page ad thanking Dudley Murphy, John Goodwin and Jerry Routh for the "Playing Marketplace". 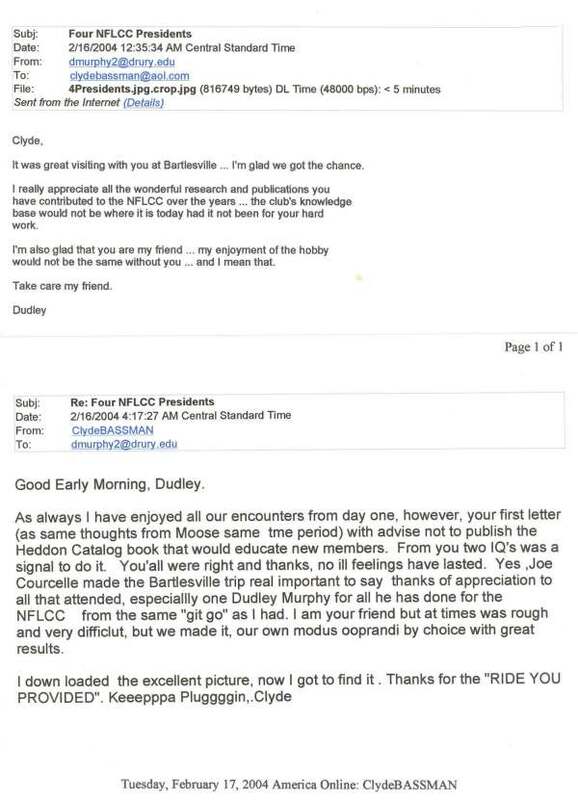 This letter was published in the fall issue of the NFLCC Gazette, volume 28, No. 98 September 2003. Waiting for Joe Courcelle to arrive at the Harbin home in Memphis, Tennessee and sign the guest register as he has done many times over the years. 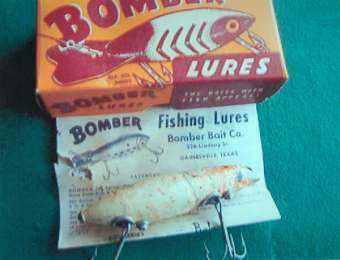 Bomber Lures for sale at Bartlesville. 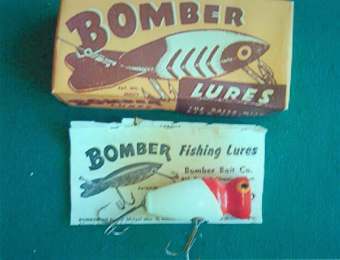 All Bomber lures were sold at the swap meet. 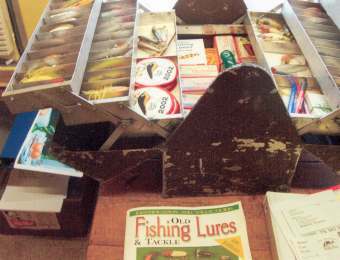 Empty boxes and Philson six tray tackle box of lures for sale at Bartlesville. 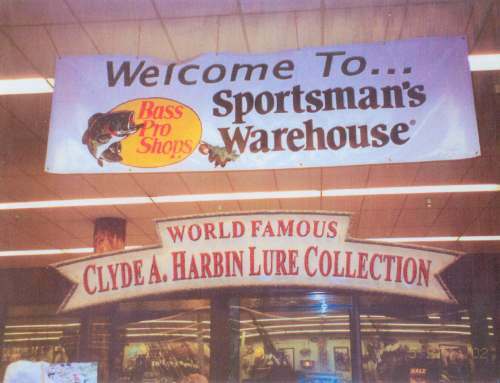 Mr. Clyde A. Harbin Sr. sends you an invitation to view his lure collection at the Sportsman's Warehouse in Memphis, Tennessee. 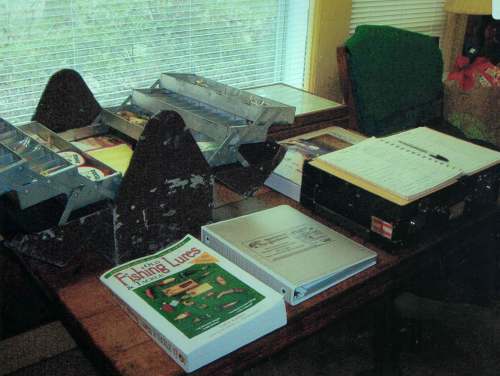 Phil Smith Productions - Phil Smith is setting up to shoot Volume 1 of Antique Lures and Collectibles an Overview presented by Clyde A. Harbin, Sr. the "Bassman" on December 15, 1986. 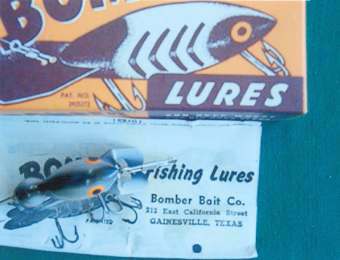 The film was shot in Mr. Harbin's lure room at his home in Memphis, Tennessee. 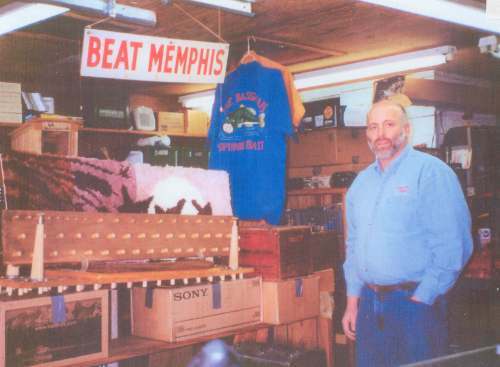 Wildlife Operations Manager of Bass Pro Shops, Springfield, Missouri Rick Collins visited the Harbin home to purchase Clyde A. Harbin's personnel Duck Calls collection. 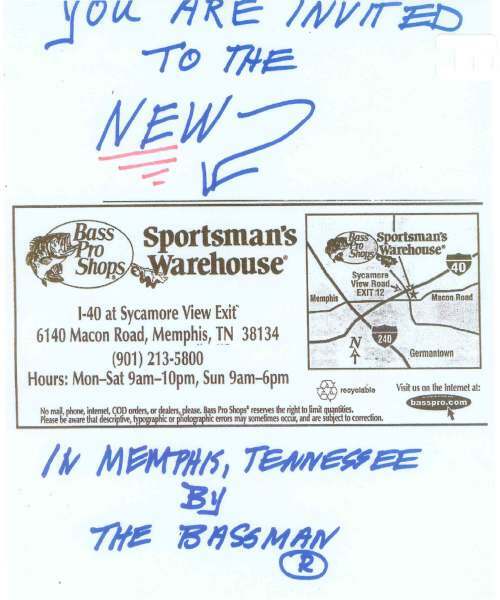 After the purchase of duck calls, call display boards, many of Clyde's signs of Bass Fishing Seminars, Bassman spinner baits, three Bassman jump suits, duck call parts and Phil Smith Productions 9 master video tapes (donated by Phil Smith & Clyde Harbin) were stored here and picked up at a later date. 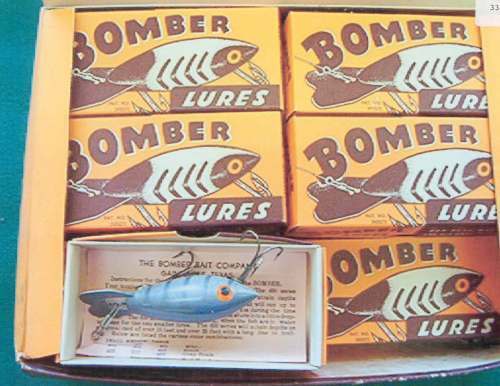 These items are to be displayed at the Bosier City, La. 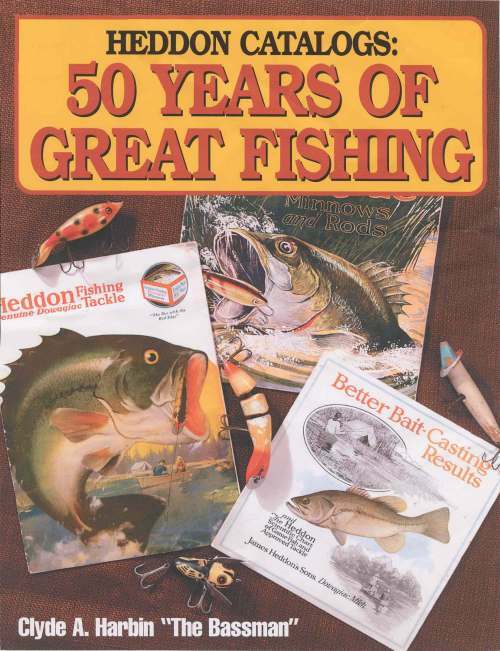 Bass Pro Shops. 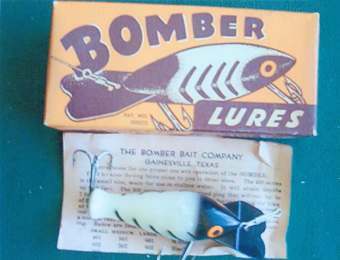 Promotion of this trip by David Stalnaker, President of Tackle Collectors of Arkansas and Regional #8 Vice President of the NFLCC was posted on Joe Yates message board. 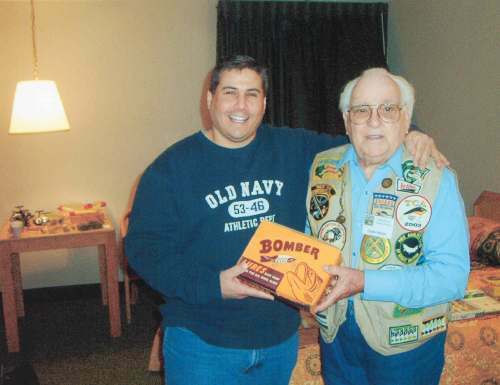 (left) David Stalnaker and (right) Joe Courcelle (room #101) are discussing the event to setup David's selling of the TCA "CAH-00" patches for the price of $5. 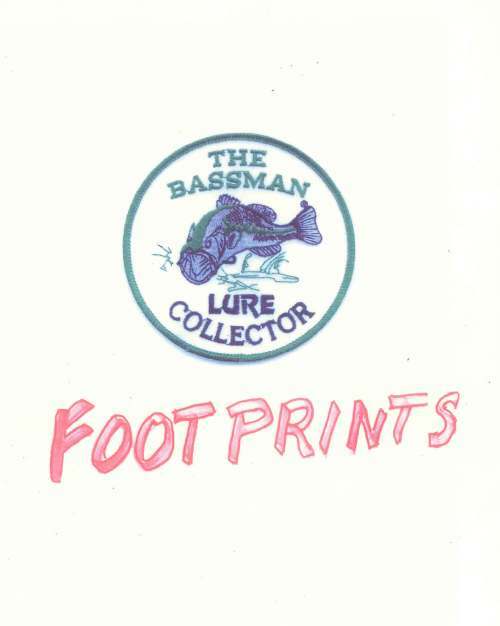 To be given with every purchase of the patch is a print of the Bob Richards finding of the lure and his art design. 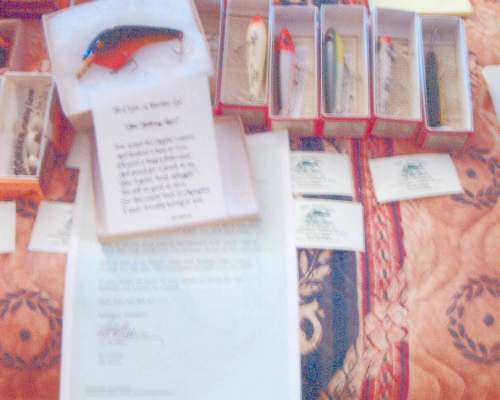 Bob Richards gift to Clyde Harbin with his "Ode" and boxed lure. 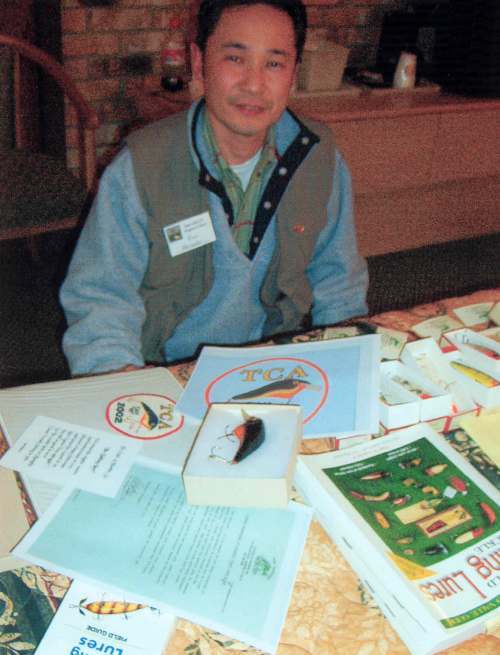 Kuniaki Horiuchi, Japanese lure maker and Antique Lure Collector of Kuni Crafts, Tokyo, Japan inspecting the gift of the "CAH 00" with signed papers and dated patch (2/12/2004). (left) Don Ludy (right) Joe Courcelle smiling over the encounters with Clyde Harbin, no less getting the better of the deals. These two seasoned gentlemen have a great deal of lure knowledge and swapping abilities. 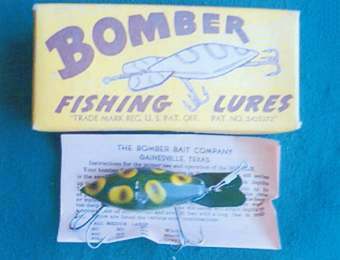 Joe Stagnitti a high end collector of antique lures just completed a huge acquisition of a box of 11 Bomber baits with the metal line tie with all plastic bodies. 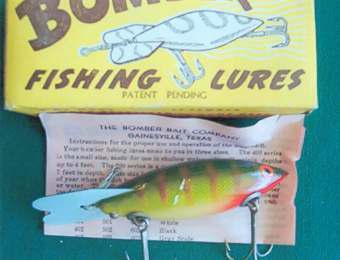 The lure showing could be a #641 with box pamphlet. 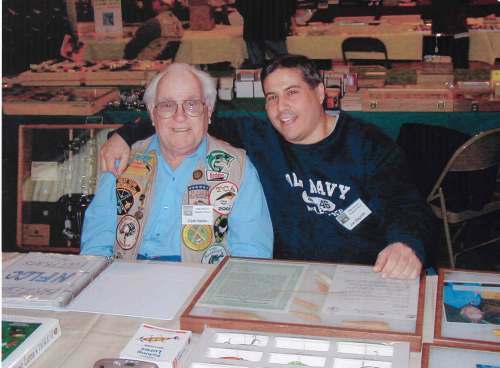 Joe Stagnitti at Clyde Harbin's table where he made an offer to purchase Mr. Harbin's Patch jacket. 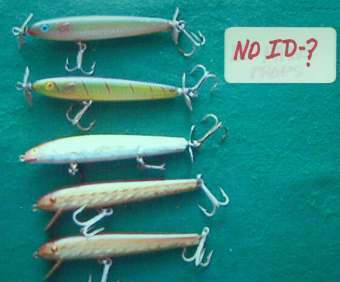 Later on this photograph was seen on Joe Yates Message Board as a high price deal rejected quickly. 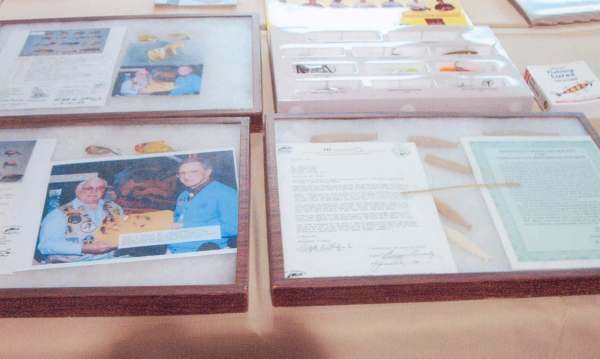 However Joe did not show any interest in the Homer Circle's Factory Lures or the W. T. Heddon lure blanks that Mr. Harbin found in a La Palina cigar box at the Straker storage shed in Minneola, Florida on June 11, 1986. 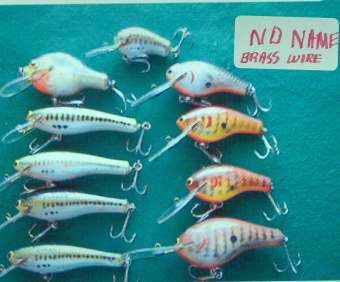 He received a lot of lookers but no takers of the rare Heddon blanks. 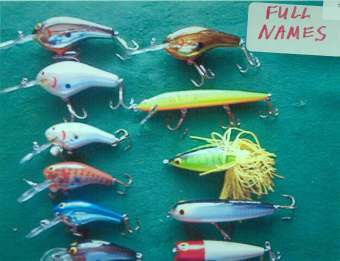 Joe Courcelle is a long time lure swapping and fishing partner of Clyde Harbin. 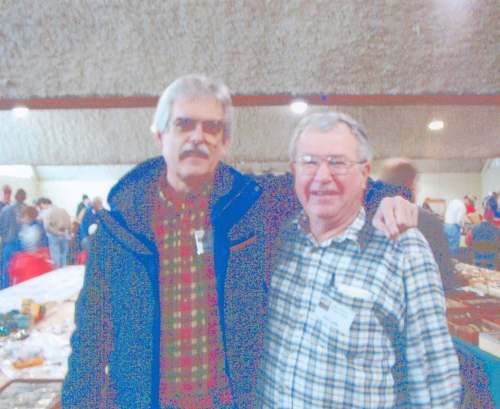 On this trip Joe became his care taker, tour driver, loader & un-loader, speaks "Cajan" (coonass to natives) and close friend whereby Mr. Harbin got the opportunity to attend another NFLCC swap meet. A "valued friend indeed". Thanks, Joe! 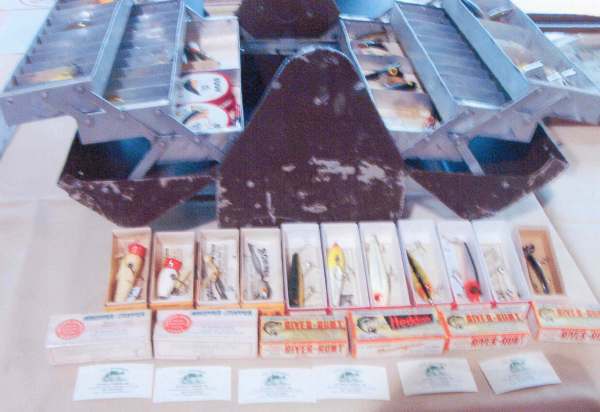 The Bassman table display at the Bartlesville swap meet. 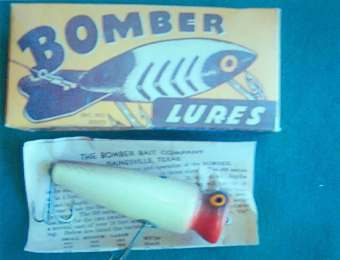 All of Mr. Harbin's Dive Bombers were sold at this event. 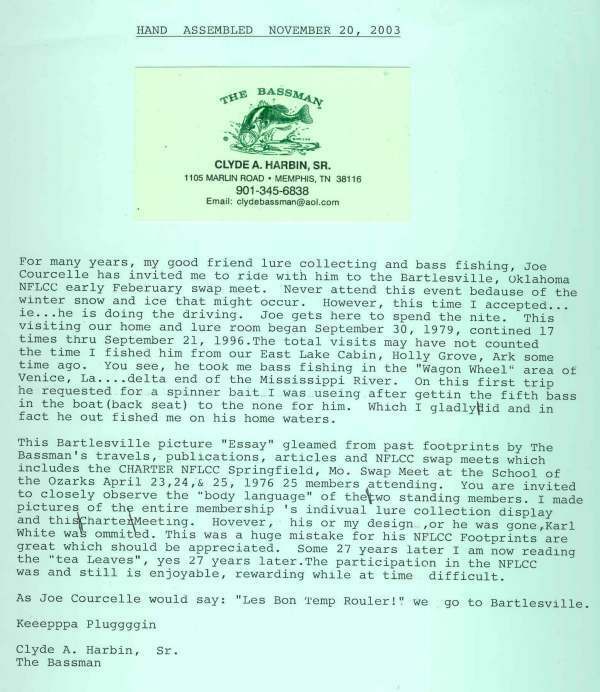 Joe Courcelle display was setup next to Mr. Harbin. New NFLCC member Juan Lopez of Georgetown, Tx. 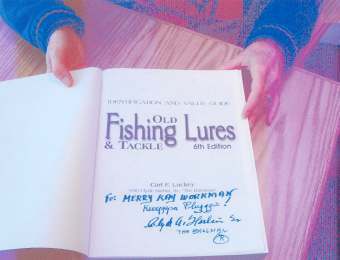 is receiving a signed copy of "Old Fishing Lures and Tackle VI Edition by Carl Luckey and Clyde Harbin. Visit Mr. Lopez website at "lureexchange.com". 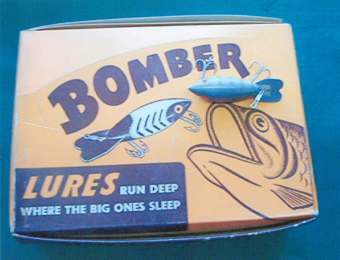 A site mostly dedicated to modern era (plastic) lures with emphasis on Heddon Teeny Torpedoes and Tiny Lucky 13's. 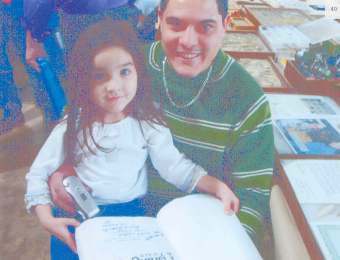 Juan Lopez and daughter with his newly autographed book by Clyde A. Harbin, Sr.
Ms. Merry Kay Workman from Flemington, Mo. 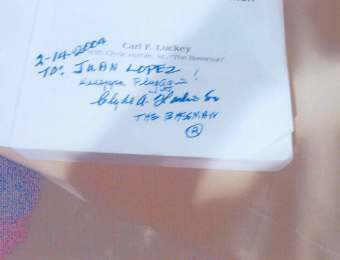 is receiving her signed copy of Old Fishing Lures and Tackle VI Edition by Carl Luckey and Clyde Harbin. 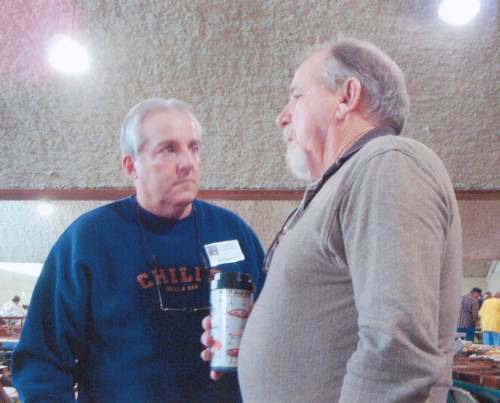 (left) Joe A. Nelson, Stillwater, Oklahoma and Joe Courcelle. 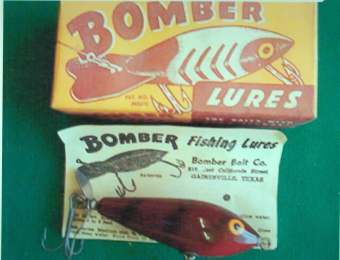 A while ago when Joe Nelson and Clyde were in Luther, Oklahoma they traded lures with Karl White at his home. 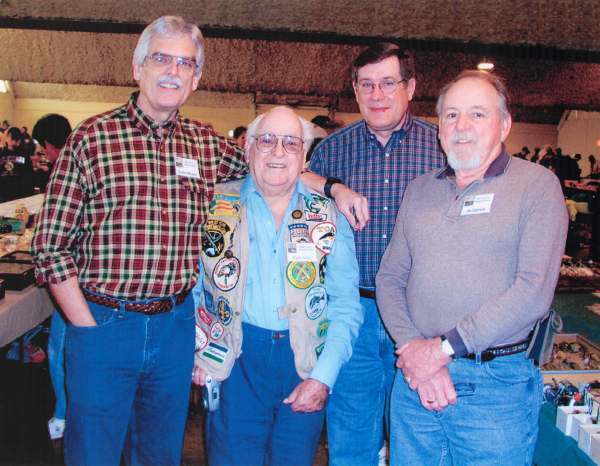 At one time Joe Nelson was the Sect-Treasurer of the NFLCC organization. 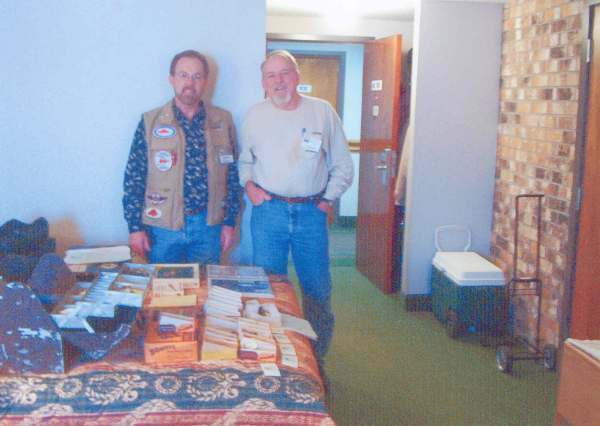 (left) Dudley Murphy and (right) Don Ludy wise old lure traders and knowledgeable lure collectors. 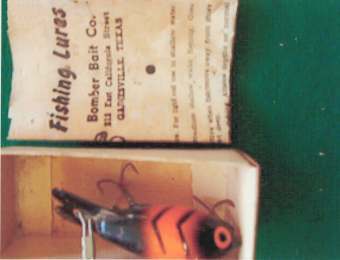 Dudley Murphy's antique "Buzz Bait" used for huge sharks. 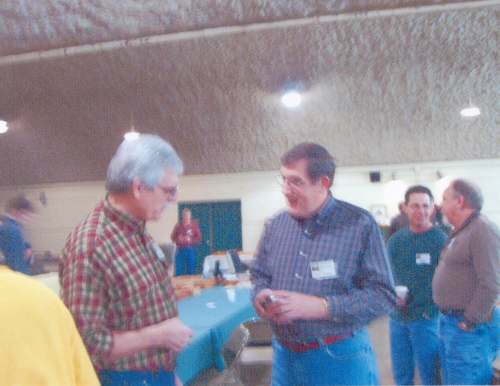 Two of the "Hasbeens" exchanging e-mail after the Bartlesville swap meet. 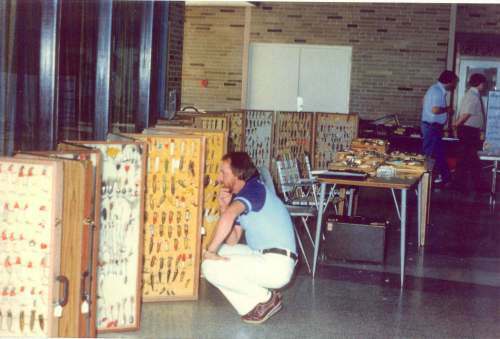 Joe Courcelle viewing the Clyde Harbin collection back in 1979. 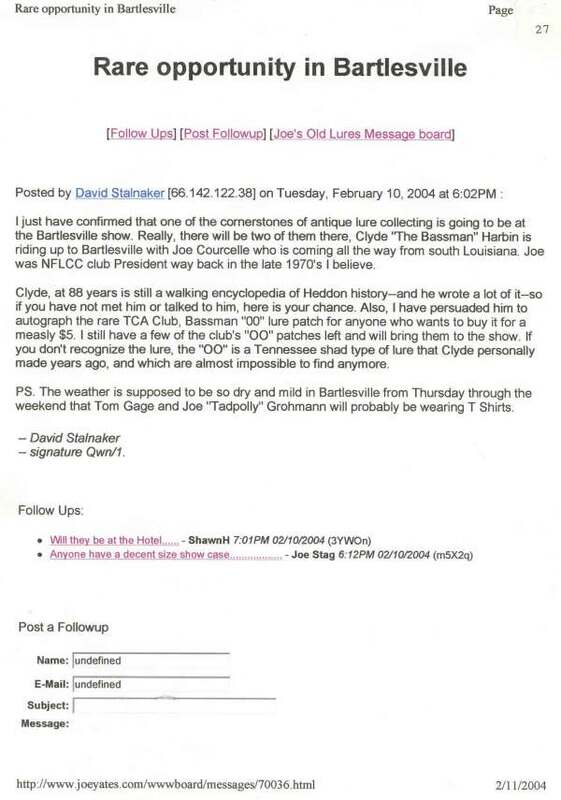 Joe Courcelle was elected President of the NFLCC at this event. Joe was president of the club in1979 & 1980 and got the NFLCC incorporated in Louisiana as a non profit entity on his watch. Note the full head of hair and with color!